Here’s a slightly modified version of the lava cake recipe. This is what the lava cake should look like when you cut into it. These are easy to prepare, but rather delicate, so be careful when you invert them. You can use cake flour or all-purpose. I’ve used both types and the only difference is that the cake flour version is slightly more tender than the all-purpose. Don’t over-bake. Check the cakes at 7 minutes, and if they smell and appear set, go ahead and flip. If you do end up over-baking, you’ll have moist but disappointing little lava-free cakes. A few more notes on ingredients. Both salted and unsalted butter work, but if you use unsalted, add a little salt (1/8 teaspoon works) to the batter. As for the eggs, I usually make these with Egg Beaters the batter is not cooked long enough to kill any potential salmonella. Pasteurized eggs, which are a little harder to find, are another safe bet. And of course, if you don’t have any issues with raw eggs, you can just use plain old eggs. If you do this, just break eggs, beat them with a fork and measure out 2/3 cup. 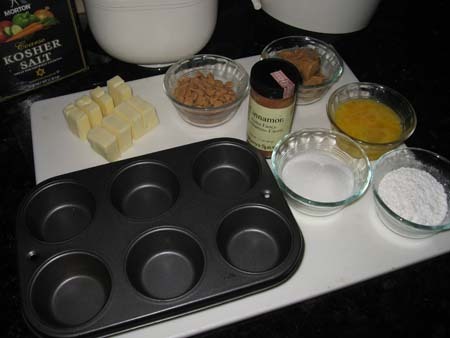 Preheat oven to 450 degrees F. Hold 1 tablespoon of the butter with a paper towel and rub insides of 6 muffins cups thoroughly with butter. Reserve remaining 7 tablespoons butter. 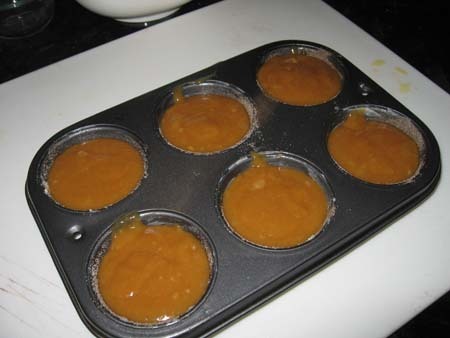 In a small cup, stir together cinnamon and 2 tablespoons of the sugar. 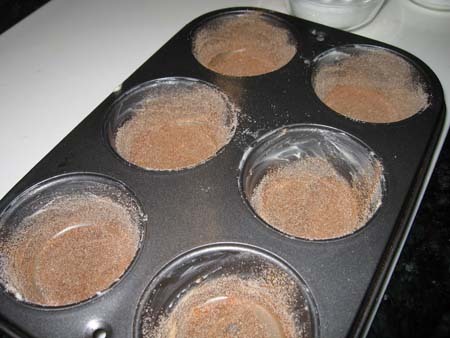 Sprinkle cinnamon-sugar evenly into buttered muffin tins and shake back and forth, tilting slightly, so that sugar coats bottom and sides. Turn pan upside down and shake off excess cinnamon-sugar. 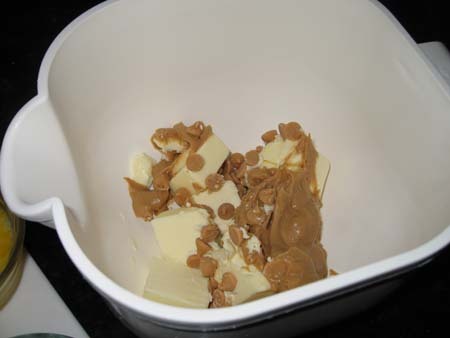 In a microwave-safe mixing bowl, stir together peanut butter, peanut butter chips and reserved 7 tablespoons butter. Microwave on high for 1 minute to melt; stir until smooth and creamy. In a separate mixing bowl, stir together remaining 6 tablespoons of sugar and egg. Stir, do not beat, egg mixture into peanut butter mixture. Add flour and stir until smooth. 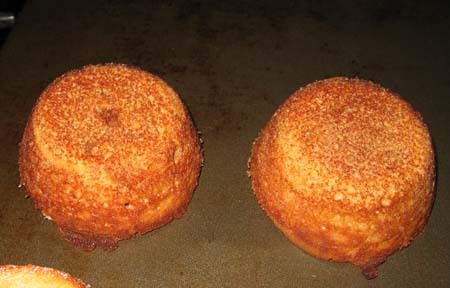 Using a 1/3 cup measuring cup, scoop batter into sugared muffin cups, dividing evenly among the cups. Bake for 7-9 minutes or until tops appear just-set. Do not overcook. Some lava may peak through the top – this is okay. Remove from oven. 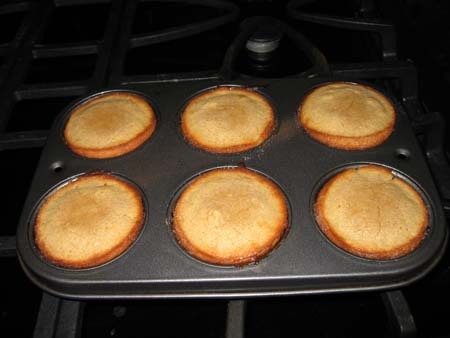 Using oven mitts, Hold a flat cookie sheet firmly over muffin pan and grasping both cookie sheet and muffin pan, invert muffin pan so that cakes come out on tray. Sift confectioners’ lightly over lava cakes for a dusty look, shaking off any excess sugar. Using a flat spatula, carefully transfer each sugar-dusted lava cake to a dessert plate. Place a scoop of ice cream and a sprig of mint next to each lava cake…..or garnish however you want! Believe it or not, I made another batch of these this afternoon when I returned from Chicago. Here are some pictures from along the way. I had several ideas while reading these comments. Thank you very much ladies. I love cheesecake and peanut butter and red velvet cake and lemon cakes as well. I came to the conclusion that a red velvet molten lava cake would be a good next step since it is basically a chocolate cake with red food coloring (simplifying it a bit) , then thought cream cheese filling would be wonderful inside a molten lava red velvet cake, kinda an inside out version of the original. Then U went on a tangent of how many combinations of all these flavors I could come up with. 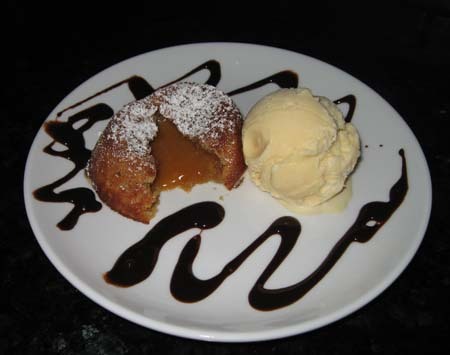 Cinnamon molten lava with a candied pecan filling or white molten lava with a surprise of cherries or blueberries, just to name a couple. I have a small side business of making cheesecakes and these little babies will be great alternatives for those who don’t care for cheesecakes. Again than you all!!!!! How about butterscotch chips instead of peanut butter chips? Too sweet? Well, I don’t have peanut butter chips so was trying to think of something that would go with it and bring a bit of sturdiness to the batter… So I added about 2/3 c cocoa powder. It didn’t affect the flavor that much but was SO good!!! Hi Emma, I’ve only made them with the peanut butter chips. In this case, I think they are a necessity. You might be able to develop an alternative recipe, but I did use the chips in this one. Liz, they taste best hot out of the oven. What I do is serve them extra hot with very cold ice cream. I think you could make the batter ahead of time. I’m going to make these this weekend but I had a few questions. Can you make the batter ahead of time (like before heading to a movie) and then bake when you return? Also, do you need to eat them right out of the oven? 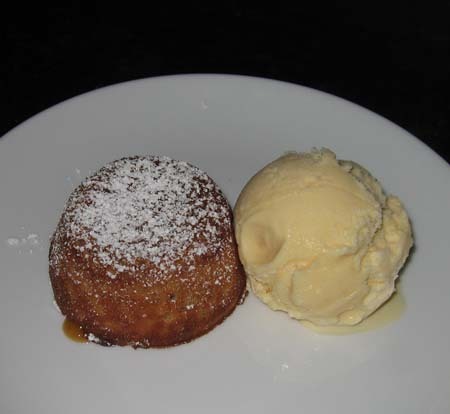 Do you have a recipe for lemon lava cake. Just love lemon and would love to bake a lava cake if you happen to have the recipe. Mmm what an excellent and creative creation! Glad you liked them! I thought they’d be a nice chance from the usual lava cakes. I made these this evening for dinner. They are very good…We really enjoyed them. Carol, thanks for the tip. I’ve never heard that one. Amy, it just seemed like a natural combination. I’m pretty sure I’ve seen that combination before in other recipes, but I can’t think where off the top of my head. Your combination of peanut butter & cinnamon really intrigues me! Where did you get the idea for that? I may have to try these or try adding cinnamon to a batch of pb cookies! Here is a tip for using raw eggs. Most, if not all, of the bad germs are in the shell not the egg itself. So, very gently wash the shell with a little warm vinegar water and rinse well.